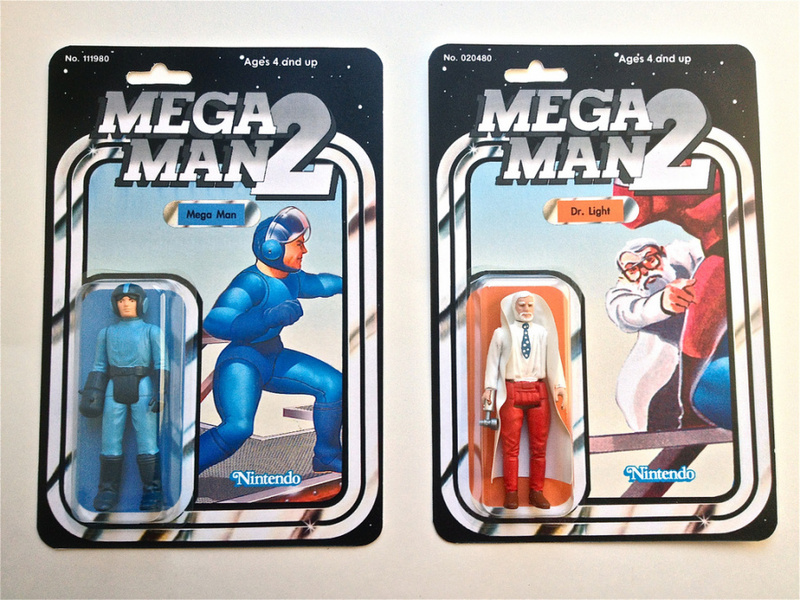 There's no shortage of Mega Man figures out there — the popularity of the character both in the west and Japan has ensured a steady flow of cool merchandise — but unsurprisingly most are based on the anime-style iteration of the character, and not the one found on the western boxes. 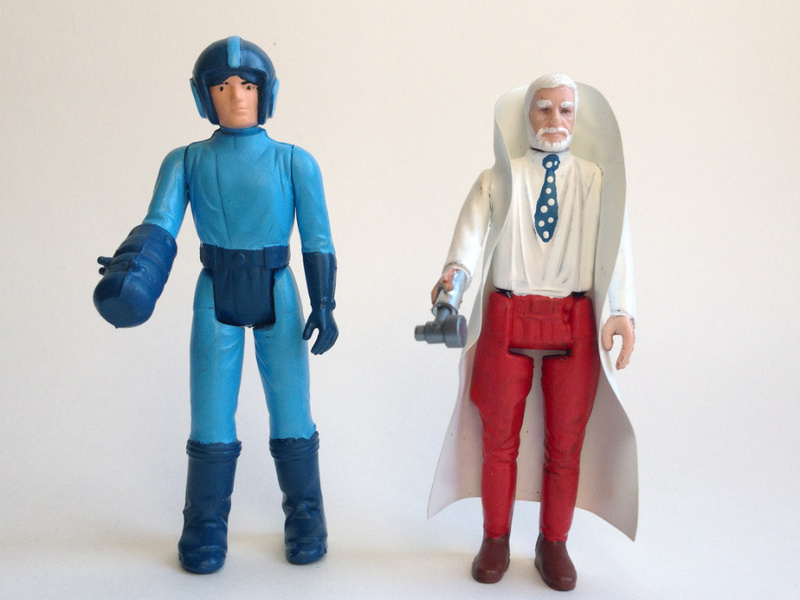 Although they're not official and are constructed from reclaimed Star Wars figures, the Mega Man and Dr. Light action figures assembled by Chicago Toy Collector finally rectify this gross oversight. 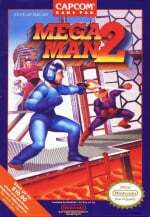 They're based on the cover artwork for the western release of Mega Man 2 on the NES. What we'd give to see these go into production. lol @ that Toad figure. Thats Dr. Wiley on the card board part. Those are some terrible looking figures. They look "meh", but it's a great idea. Someone professional should do this. And that Toad figure is hilarious. Has Princess Peach ever said that she is transgendered? @MANIAC911 Yeah, that's the only amazing figure in the pictures, and made me laugh really loud, haha. That's supposed to be Princess Peach? And that toad back there is creepin' me out! Not good looking figurines IMO. Lol, they all look so serious! Wich is of course on purpose! 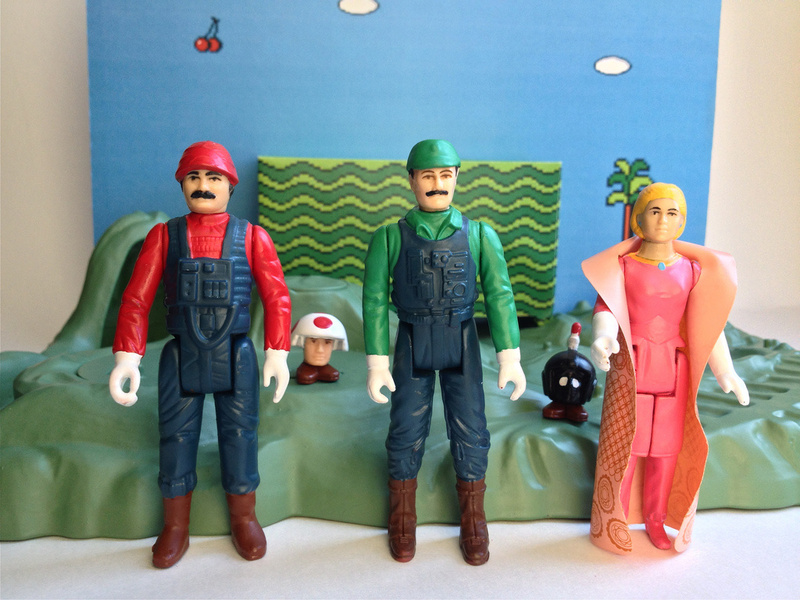 I'd seriously buy these-- especially the Mario ones, and display them with pride.